Art Deco is back! 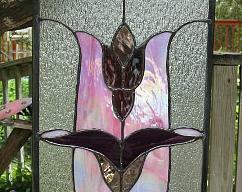 This stained glass window panel will bring that style into your home. 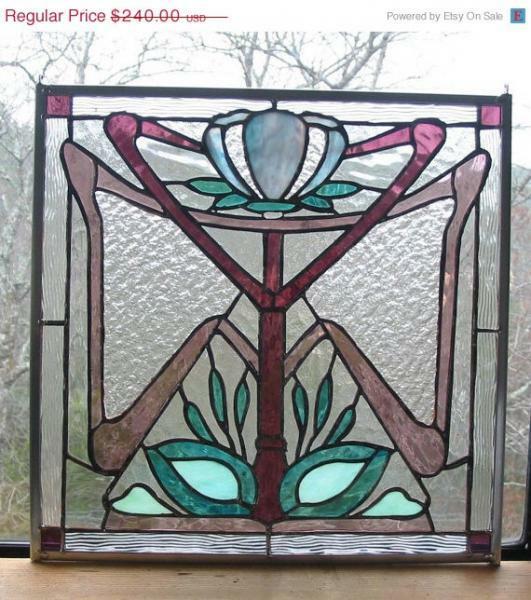 This one has 92 individual pieces of glass. 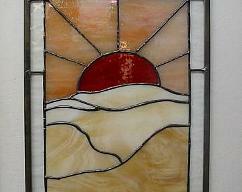 Each piece is hand cut, hand ground to smooth edges, copper foiled, and then assembled, soldered together and framed. 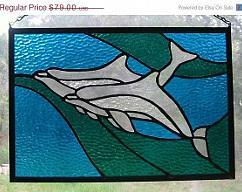 It is 16 1/2" x 16 1/2" and has a sturdy zinc came frame...ready to hand with hooks attached. 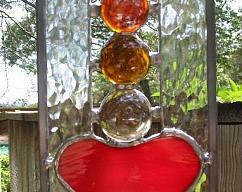 I used 4 different kinds of textured clear glass for the background. The other pieces are mauves, greens and blues. I applied a black patina to the solder lines, then polished the entire piece to a shine.